Lets you navigate through the document with the standard buttons of First Page, Previous Page, Next Page, Last Page, and a page number textbox. On top of the document you can see all the tables and fields which are part of the layout. You can drag them, reshape them, or right click them for a context menu. Select previous table If a table is selected, this selects the previous one. If the current table is the last one in the document, nothing happens. Select next table If a table is selected, this selects the next one. If the current table is the last one in the document, nothing happens. Selection mode Allows you to select filter criteria, and then displays all pages but highlights the ones that match these criteria. Automatic When you mark an area on the document, PDF2XL will decide automatically whether it's supposed to be a table or a field. You can select tables and fields in this mode. Table When you mark an area on the document, it will be considered a table. You can select tables and fields in this mode. Field When you mark an area on the document, it will be considered a field. You can select tables and fields in this mode. Text Allows you to mark text on the document. 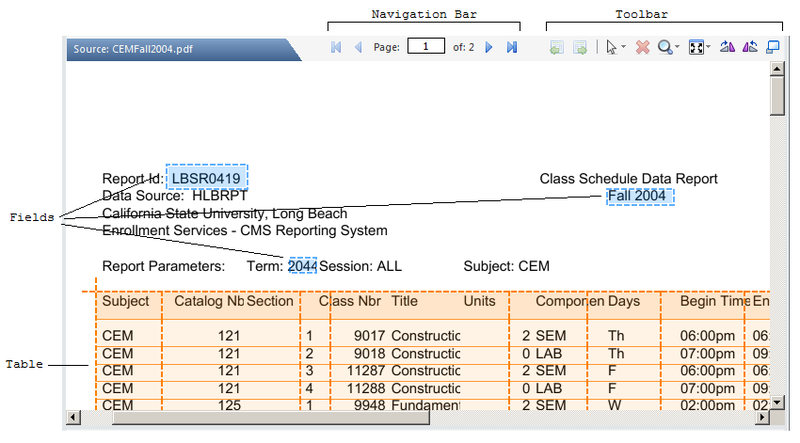 You cannot select existing tables/ fields in this mode. Delete current item Delete the currently selected table or field. Zoom Allows you to zoom in or out, or select an area to zoom into so that it fills the entire pane. Rotate right Rotates the display of the current page 90 degrees clockwise. Rotate left Rotates the display of the current page 90 degrees counter clockwise. Toggle preview display Minimizes or restores the preview pane.